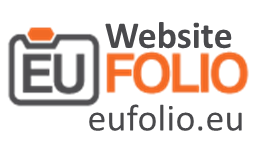 The EUfolio resources portal aims to provide the target audience training and learning resources to learn from them, adapt them to their own needs and even build on the resources. This comprehensive web-based portal, is developed to help educators get the educational materials and resources needed for the integration of the ePortfolio approach in the learning process. It is constantly being updated by the training activities and classroom implementations completed in the piloting countries. You are invited to join EUfolio community and contribute to this growing community of practice by using the training material and submitting your own learning ideas.